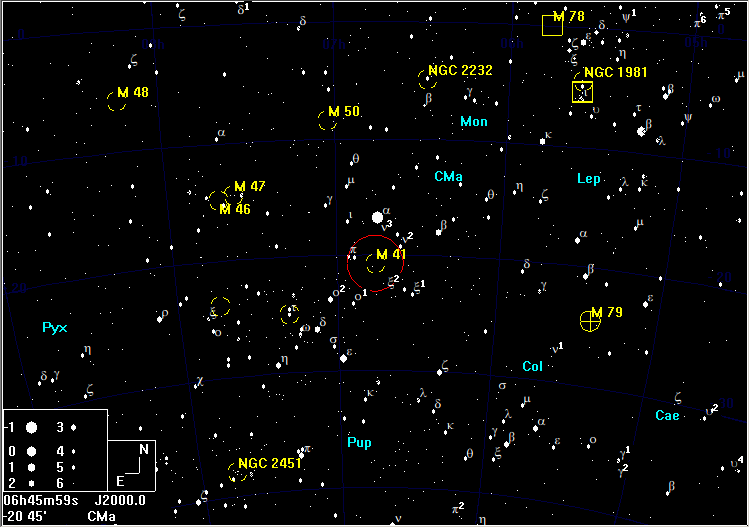 M41 is 4° south of α Canis Majoris (Sirius). 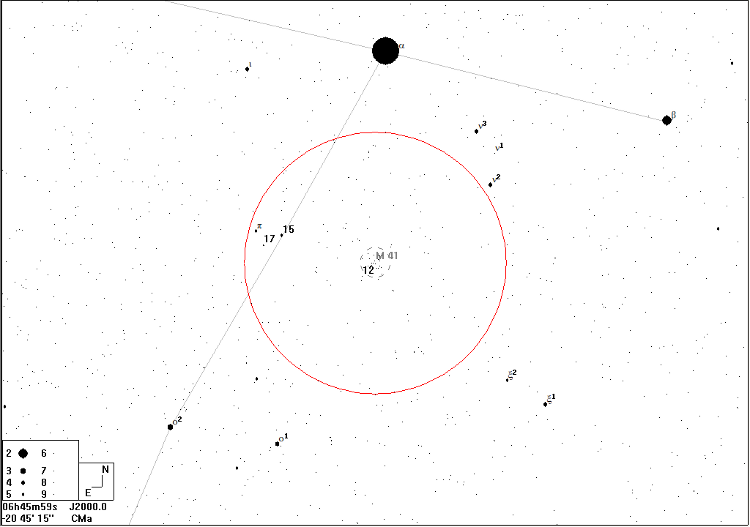 This bright cluster is visible to the naked eye (it was noted by Aristotle) in a transparent sky. 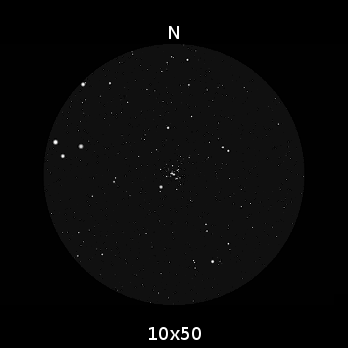 In 10×50 binoculars, half a dozen or so stars are resolved against a background glow.